Facsimile: From Vancouvers Atlas - Part of Chart No. XII; Part of Chart No. VII. Sheet No. 11. 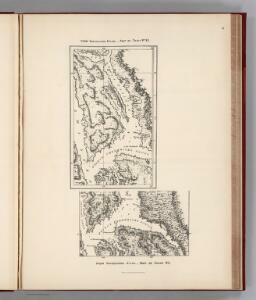 (Stephens Passage, Frederick Sound, Endicott Arm, Seymour Canal, Port Houghton, Holkham Bay).